My co-worker Virginia is complaining about how one of her neighborhood churches couldn’t spell “Maundy” for Maundy Thursday right (Monday Thursday, the sign said). She ate haroset with matzoh with her lunch, yet she is Catholic. I’m confused. 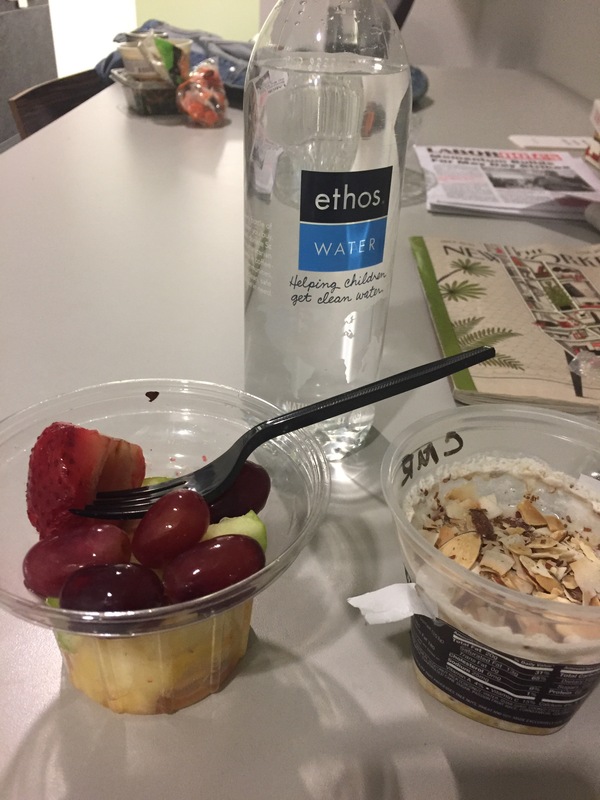 Speaking of super-sweet, my neighborhood Starbucks had a few things for lunch I could eat: mango and pineapple quinoa and chia seed coconut milk mash with toasted coconut and almonds (yum), and a fruit cup, including strawberries, pineapple, grapes, and green apples. Delish! (Wait…this mash is called “Overnight grains”, which may include coconut oatmeal. What does that mean? Did I, by sheer accident, break the “no grain” rule for this week? Okay, I’m still confused…nevermind. At least it was sweet.